Read blog articles from Integrity Custom. The Modern Farmhouse. Livable Luxury. The Modern Farmhouse new construction project in historic McKinney was a pinnacle project of 2017. The nuts and bolts of this home have been circulating in my head for over 10 years. Inspired by a home I fervently followed being built in Oak Cliff, rough design ideas were transformed into buildable plans by the perfect serendipitous storm of client, available lot and time. Of course, those were humble beginnings. The homeowners have a serious background in design, and knew the exact features that would turn this house into THEIR home. 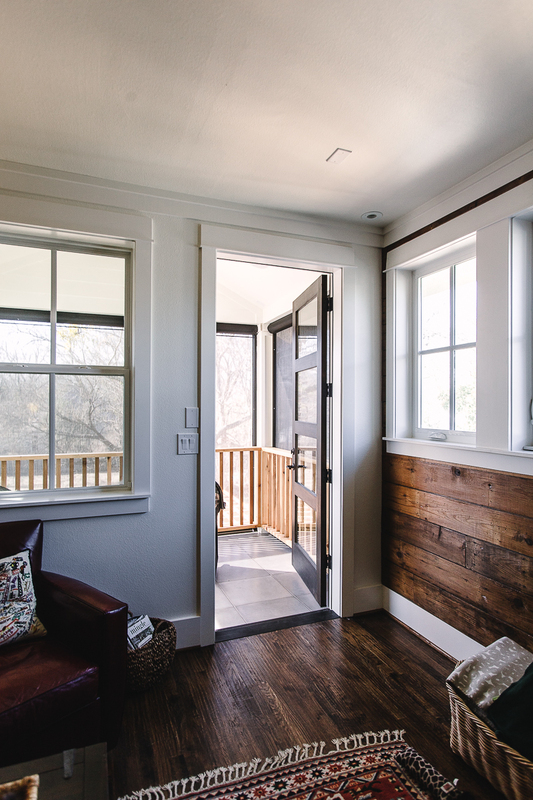 Reclaimed shiplap, an antique staircase, and patterned concrete tiles are just a few of the details that contribute to the home's wow factor, which is not pushy or showy. 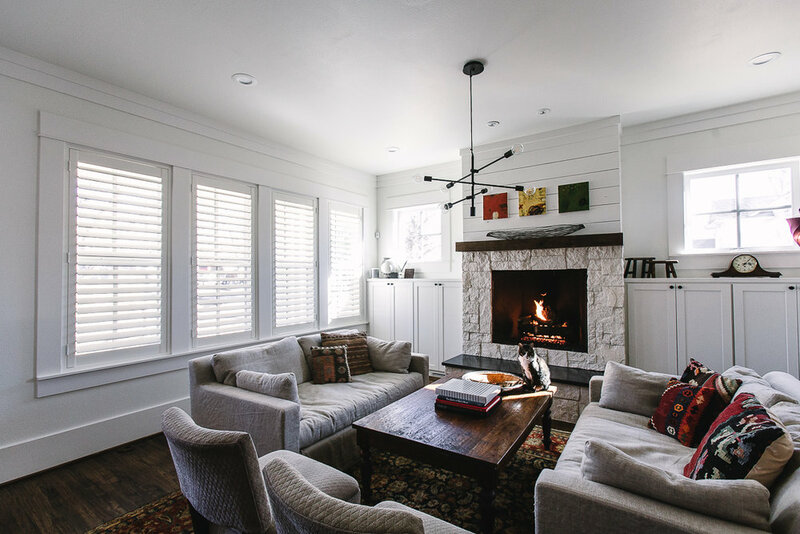 Luxury touches, grounded in comfort create spaces that are calm and livable. Isn't that everything a home should be? Living room view with door leading into the library/office. A combination of stone, reclaimed wood and poured concrete on the fireplace surround. 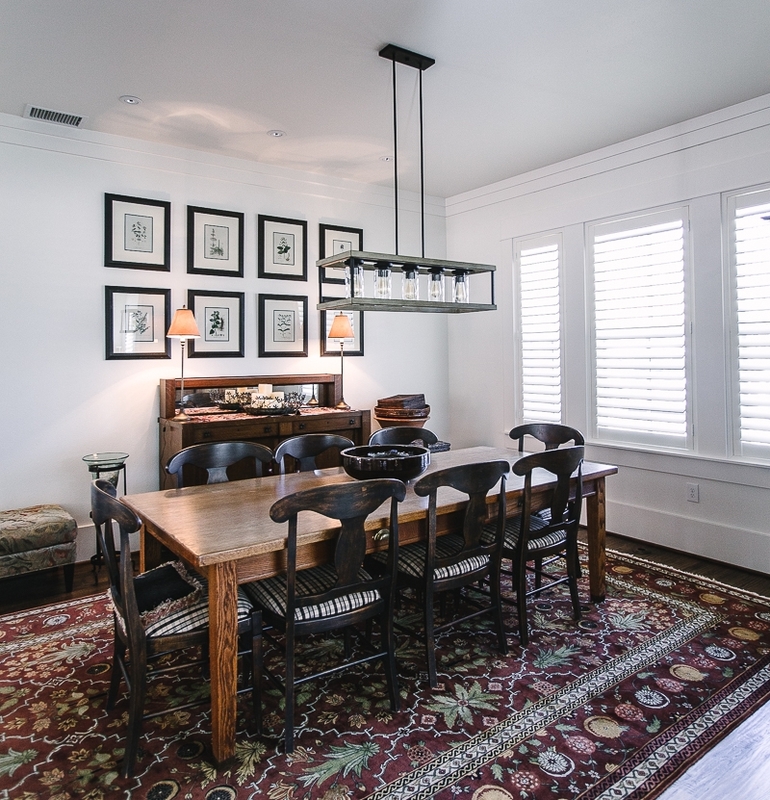 Reclaimed shiplap ceiling paired with Crate & Barrel Sconces for a true Modern Farmhouse look. Patterned concrete tile and a modern soaking tub in the master bath. A reclaimed staircase from the late 1800's. The upstairs media room features a screened in balcony porch. Outdoor living spaces still in progress. A version of this home is available for new construction and is currently planned to be built in Gateway Village. Contact us to begin designing your dream home.